Sweat, hot and salty, flowed into Errol’s eyes in the sticky heat of the early fall afternoon. He forced a quick blink to shed the distraction, not daring to risk the split-second it would take to wipe his brow. A welt as long as his hand burned his left ribcage. Its twin worked to numb his right shoulder. The staff in his hands blurred and buzzed like an angry insect, nearly invisible, but as yet he had managed only a single strike against his opponent. The man opposite him, stronger and fresher, darted like a snake, the blade of his sword disappeared as his arms corded and he struck. 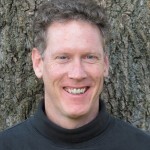 Errol parried at the last moment and flowed into a counterattack. The clack of staff against sword filled his ears like the sound of a drummer’s rim beats. For a moment he dared hope that he would penetrate his opponent’s defense, but the attack exhausted itself and he retreated to defend against those cursed whip-like strokes of the swordsman’s counter. Pain blossomed in his side as the sword found its mark. It was no use. Four weeks of food and rest had almost restored him to complete health after Sarin’s attack against the kingdom. But ‘almost’ was insufficient against such an opponent. 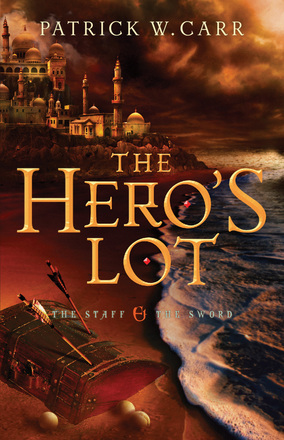 Errol Stone returns in the second installment of The Staff & The Sword trilogy. This time around Errol finds himself accused of a crime he didn't commit in order to once again provide safety and protection for someone else. This turn of events only solidifies his distrust and dislike of the church. Placed under yet another compulsion, Errol finds himself traveling to a land full of enemies to hunt down Valon, the rogue priest. Along the way, Errol is joined by old allies and enemies turned allies, or so he hopes. New friends are met and lost along the way as the truth behind the salvation of the kingdom continues to unravel. Not knowing who to trust and faced with hard truths about his past and future, Errol begins to question his role in the fate of the kingdom. Will he decide to continue to let some unseen force govern his life, or will he finally be allowed to choose for himself? What I liked. Carr is an expert storyteller. He weaves setting and character into his plot seamlessly. I find my heart aches for Errol's struggles. He continues to try to do what is right, but is hurt by all those he tries to trust. His hardness later in the book is believable, and made me furious at all those who continue to use him for their own purposes. I thought the relationship between him and the princess was very amusing, and realistic. The chaos of feelings and thoughts was exacerbated by their conflicting responsibilities. Once again, I found Errol's odd assortment of companions intriguing and amusing. They both hinder and help his progress towards his goals. More secrets are revealed, while yet more remain wrapped in mystery. 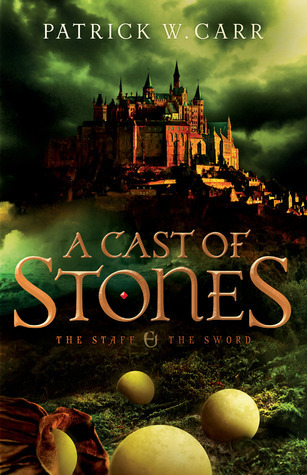 This was a great follow-up to A Cast of Stone, and I look forward to the next book in the installment. I'm on the edge of my seat after the very nail-biting ending of The Hero's Lot. If you love epic fantasy, read this book!